Urban heating operators now have to solve two problems: optimizing energy costs and complying with changing environmental regulations. Companies that operate municipal heating systems or technical departments (industrial and collective heating) are always looking for ways to further optimize energy efficiency to respond to global environmental pressures. Large heating systems are the foundation of these changes and they require huge investments. With its Pillard and North American low-NOx ranges of burners, Fives offers high-performance combustion solutions for heating systems that can meet emissions objectives as well as maintain their ability to adjust to future technological and environmental advances. 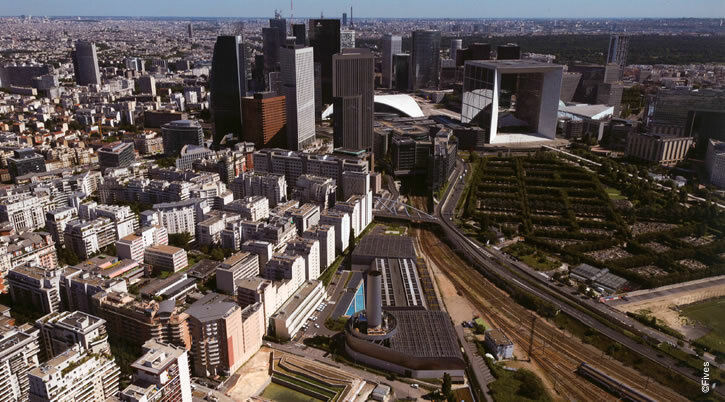 In 2013, as part of its transition to natural gas for boiler house, one of Europe's largest heating system management companies, Compagnie Parisienne de Chauffage Urbain (CPCU), chose Fives and its Pillard low-NOx burners because they can be retrofit for existing systems and offer high energy performance. In the natural gas combustion sector, the Pillard and North American low-NOx combustion equipment range meet emissions requirements without using any additional NOx reduction systems. So it can reduce operating costs like FGR (Flue Gas Recirculation) and urea injection. Combined with automation systems, the boiler house can be operated remotely at lower costs. Fives helps its customers who manage heating systems select the right technologies to optimize their equipment.